Fred was born on July 7, 1936 at the Harborview Hospital in Seattle, King County, Washington to Loren Adelbert and Verona (Ludington) Jones. He went to school at Tracyton Elementary, Silverdale Elementary, Central Kitsap Jr. High School and graduated in 1954 from Central Kitsap High School in Silverdale, Kitsap County, Washington. 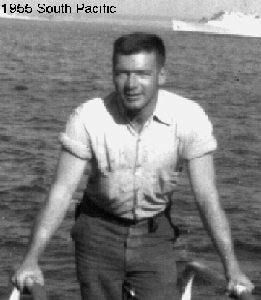 Fred served in the US Naval Reserve and US Navy from 1953 until 1960 when he was honorably discharged. He worked for the Amax Energy Company in Arizona, Wyoming and Indiana. Fred returned to civil service in 1986 where he worked as an Equipment Specialist in the Technical Division at the Fleet and Industrial Supply Center, Puget Sound until his retirement in 1997. Fred met Berniece Grenier, the love of his life, in 1979 while working at the Amax Eagle Butte Mine in Gillette, Wyoming. He proposed on New Years Eve, 1980 and they were married March 7, 1980 in the strangest wedding the Minister had seen. Two of Bernieces sons were groomsmen, her eldest son gave her away, two daughters were bridesmaids, one daughter was photographer, two sons were ushers, one daughter did the guest books and reception. A grand daughter was flower girl, a grandson was ring bearer. We went on the honeymoon and the kids cleaned up. Berniece retired from the Southland Corporation in 1998. Fred is currently working for the local newspaper as a Single Copy Accounts Manager to keep busy. Fred and Berniece enjoy genealogy, camping, fishing, golf and most of all their grandchildren.